How can User Behaviour Analytics help secure business-critical data while protecting reputation, and sales revenue? As insider threat is the greatest risk to an organization’s security, an insider threat management program must include a robust understanding of the various profiles that fall under this threat umbrella and the motivations and situations that give rise to them. 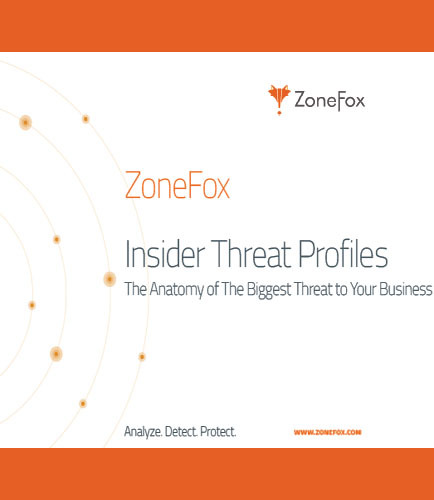 Since the hardest part of managing the insider threat is understanding it, ZoneFox provides an overview of five key insider profiles that will help organizations to start identifying and handling the insider threats more effectively. The whitepaper details about several threats including fraud, and spying, and the possible steps to minimize damages and avoid future risks. What is the use of user behavior analytics in any business? What is the impact of internal threats in an organization? Move ahead and read the following whitepaper that will address all your questions, including these: 1. What are the different types of internal threats? 2. How to define an action plan for internal threat remediation? 3. What are the reasons that can cause an internal threat? 4. What are the current approaches related to internal threat mitigation? Every organization’s primary challenge is to avoid bottlenecks to and from storage as the infrastructure scale to incorporate larger datasets. This includes managing unfiltered, real-time stream of data from tens of thousands of users and assets at every layer of the IT infrastructure—which includes scaling enterprise security log and analytics workflows. This white paper introduces a solution that helps enterprises in collecting security log data, efficient searching, analyzing the data for improving the intelligence and threat detection, and ultimately protect at-scale functionality to support expanding enterprise security workflows.This benefits the enterprise in ingest and analytics performance, vendor choice protection, and migration and mirroring of log data across data centers. This white paper addresses the following questions: What are the five biggest scale-related problems faced by an organization? 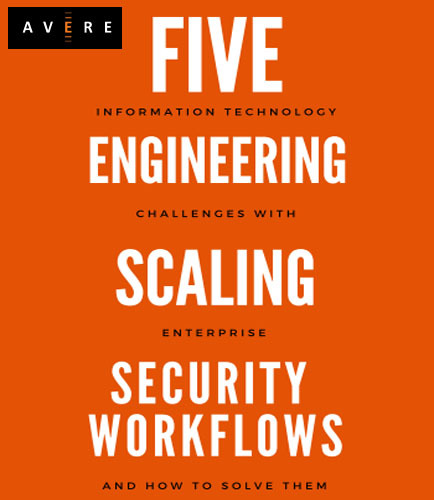 How to solve the challenges associated with scaling the Enterprise Security Workflows? What are the methods for efficient data management throughout the lifecycle? How to maintain data availability and redundancy? What are the benefits expanding enterprise security workflows?